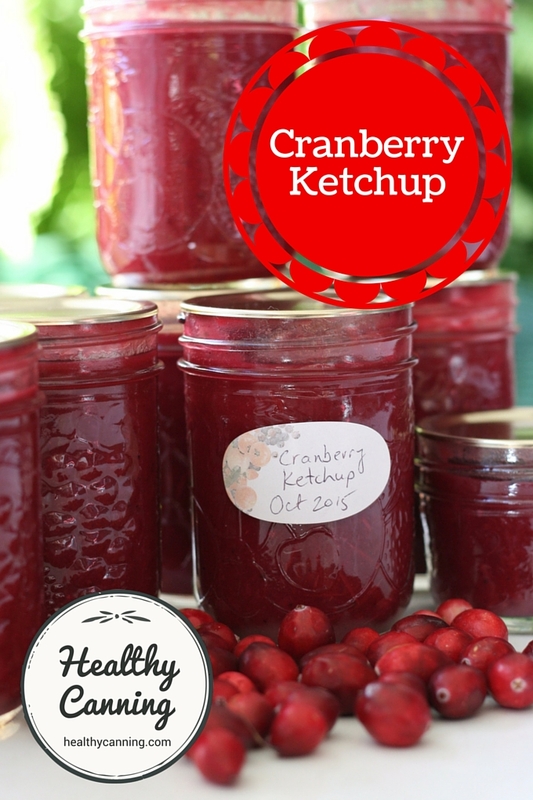 This delicious ketchup comes from the Ball / Bernardin Complete Book. The authors suggest it is particularly good with meat pies and egg dishes. It is good as well with a fry-up breakfast that includes sausages, etc. The Complete Book authors go on to note that they find it similar in flavour to a “popular British steak sauce”, meaning HP sauce, or just as the British call it, “brown sauce.” While the resident in-house British experts here don’t necessarily agree, we’ve included a few tips in the Notes section for helping to push it more in that direction, if desired. You may cut the batch size in half if you wish, but note that this makes for really unique hostess gifts at Thanksgiving and Christmas. 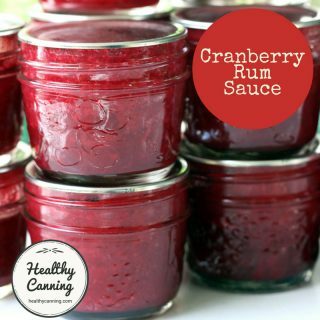 You can make the regular version with sugar and salt (48 calories and 38 mg sodium per two tablespoons); or you can shave that down to 17 calories and 1 mg sodium by making it sugar and salt free and still just as delicious. Wash and stem the cranberries. Take a large stainless steel pot. Put in it the cranberries, onion, and garlic. Put pot on stove over high heat and bring to the boil, stirring, then reduce to a steady simmer for 10 minutes or until the cranberries are soft and have popped. Process mixture a batch at a time through a food processor or blender to make it smooth. Put blended mixture back into a pot. Add the ingredients from the dry mustard down to and including the cayenne pepper. Put pot back on stove, and bring back to a boil, stirring. Lower to a simmer and let simmer uncovered for about 30 minutes or until the mixture mounds up on a spoon in a way that ketchup would. 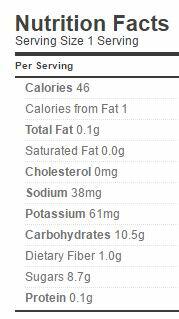 Stir in stevia, adjust taste with a tidge more or less if desired. Pour into quarter-litre (1/2 US pint / 8 oz) jars. For the vinegar, you can use white vinegar or apple cider vinegar. Instead of the salt, you could use a non-bitter, non-clouding salt sub: we’d recommend Herbamare. Instead of the brown sugar, you could use the same volume amount of Splenda®, or 3 teaspoons liquid stevia. We’d recommend Better Stevia liquid stevia . 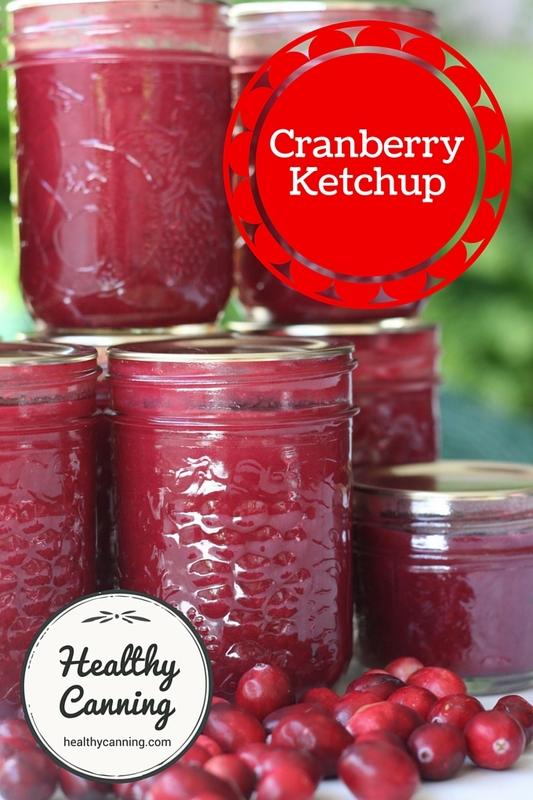 Cranberry Ketchup. In: Bernardin Guide to Home Preserving. Toronto, Canada: Bernardin Ltd. 2013. Page 81. 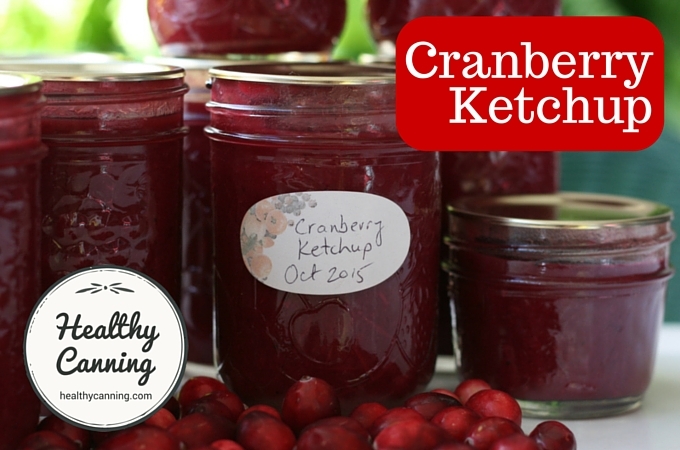 Cranberry Ketchup. In: Kingry, Judi and Lauren Devine. Ball / Bernardin Complete Book of Home Preserving. Toronto: Robert Rose. 2015. Page 257. Note that the Guide says you will get 4 jars, while the Complete says you will get 8. In our experience you will get 8, or close to 8. Swapped sugar / salt out and stevia / salt sub in. 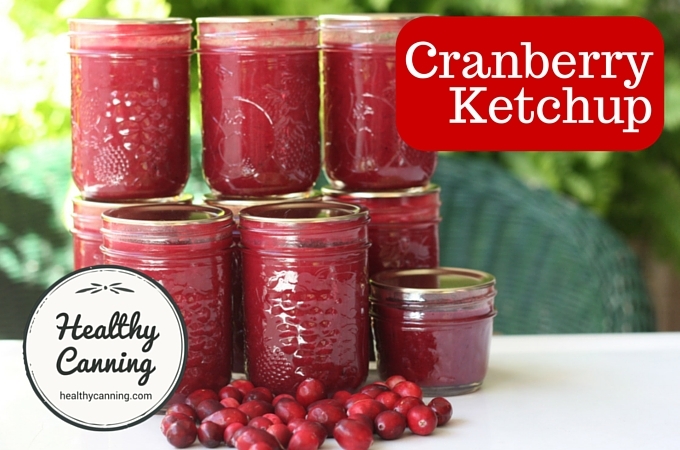 Linda Ziedrich’s The Joy of Pickling (2009 edition, page 349) gives a similar Cranberry Ketchup recipe, to which she adds orange zest and ginger, as well as giving processing times of 10 minutes for larger 1/2 litre (US pint) size jars. 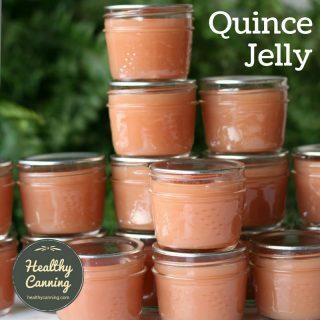 So if you wanted to make larger jars, you should follow her recipe. 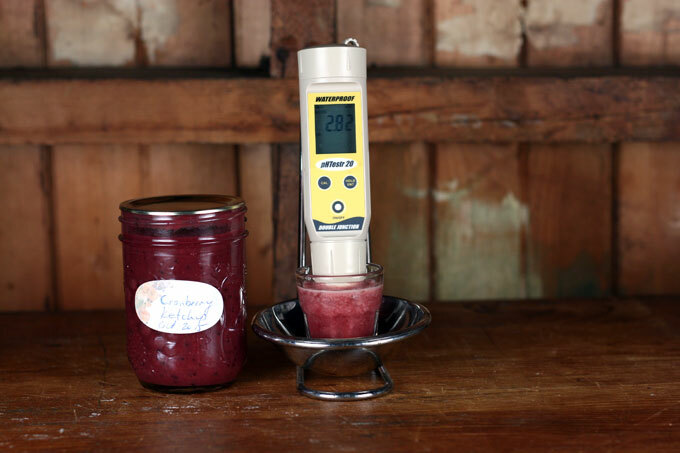 A pH of 2.82, tested a year later in October 2016. Weight Watchers PointsPlus®: 1 to 3 tablespoons, 0 points; 4 to 11 tablespoons, 1 point. I have now made this recipe for the second time. We enjoyed it so much I decided to gift it to my family and friends. I omitted the stevia and salt altogether and added 1/4 cup more brown sugar and 1/4 cup organic blackstrap molasses. I also like it using apple cider vinegar rather than white it seems to bring the spices together better. Yes that is it exactly. It can also be made without the meat as many don’t use meat at all or tiny pieces of pork with smoked flavor. I will join Facebook group. There is a red bean version and a Calldo Gallego. We also have a Cuban Picadillo which is like spices ground beef or chili without the beans. Can be meet with the safe Ball Creole sauce. We also have sofrito. Many things can be done. Healthy. Just can’t eat like its 1940 anymore. We have a nation of overweight sick allergic people who want to be healthy and can at home. Of which I am one. Got so much bad health info over the years. 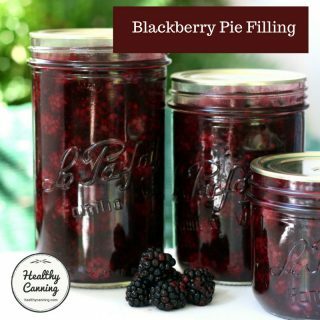 I am taking control of my families health by canning and your site opened my eyes to what is possible. They are very behind. I bought the liquid stevia and I am getting the herbamare. Also, we need more safe and tested ethnic recipes for canning. Cuban Black Bean Soup, etc. Some people are still happy with the old boatloads of sugar home canned products. And that’s great. The site provides them the info on how to add the sugar and salt back in. But with today’s crisis in diabetes and blood pressure, we just can’t be advocating it anymore. What would be in Cuban black bean soup? Something like this https://www.thekitchn.com/recipe-cuban-black-bean-soup-98048 ? 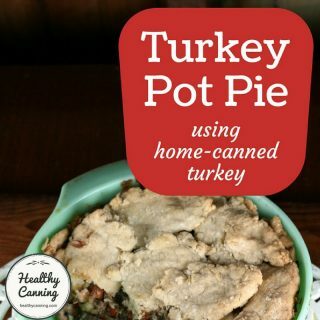 If you are on Facebook and would find it easier to continue the conversation there, https://www.facebook.com/healthycanning/ perhaps others might be interested as well and have some ideas. Cheers, great hearing from you! How do we know these are safe? 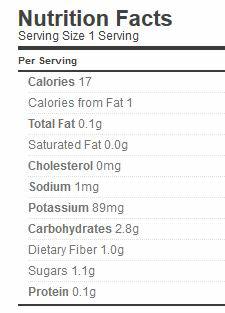 I want to can it low sodium, low sugar but I am afraid of botulism. I love your site. But, I have seen so many unsafe things on the Internet. Hi Liza, good question, a couple factors here. First, for liability reasons the site has to say that it does not accept any responsibility for any loss which may arise from reliance on information contained on this site. With that out of the way…. (1) You will never see a recipe here that is not a current, modern recipe from a reputable source. There are no original or “old” recipes. All sources are given and cited 9 ways to Sunday, with any mods suggested noted as mods (even down to when a bay leaf is added), and, to boot, there’s also directions on how to put any sugar and salt back in for those who wish to for any reason. Botulism is prevented in one of two ways. 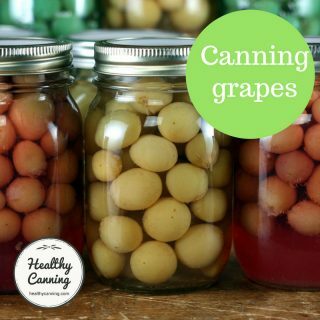 For shelf-stable storage of goods with moisture in them in an oxygen-free environment (such as sealed jar), you either have to neutralize the spores through acidity — a pH of 4.6 or lower, or, you have to kill the spores off through the extreme high heat achieved through pressure canning. In condiments such as ketchup, the acidity is relied on to neutralize any possible spores. Sugar in the ketchup recipe above does not play a safety role, the safety rather comes from two things: the acidity (from the vinegar and the cranberries), which deals with any possible botulism spores, and secondly, heat processing of the jar at 100 C (212 F) which kills off nasties such as salmonella, listeria, etc, which aren’t always controlled by the vinegar alone. 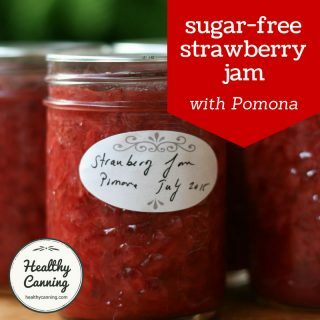 We’ve compiled all the information we found on sugar and salt free canning here: https://www.healthycanning.com/sugar-and-salt-free-canning/ . You can peruse it at your leisure; we hope this will be grist for the mill for you to ponder and make your own decisions. We hope some of the learning resources beyond the topics of salt and sugar that we’ve assembled on the site will be of use too! Cheers.